If you’ve come to Santorini on a cruise and you have limited time at your disposal, Dandelion Travel can help you make the most of your stay here and take you to the most important Santorini attractions. We’ll pick you up at the cable car and, from there, your very own private tour of Santorini will start. Sightseeing, wine-tasting and everything else you can imagine are only a short drive away. We can take you to picturesque Oia with its narrow, idyllic streets, and to Firostefani, where you’ll see the Santorini volcano from above, we’ll take you to the famous black beach of Perissa, to the top of Santorini and the Monastery of Prophet Elias, to Akrotiri, the prehistoric settlement, and everywhere else you’d like to visit. Come into contact with Dandelion Travel and we’ll provide suggestions about things to do in Santorini, but feel free to follow your heart and recommend your own itinerary. We will be happy to oblige. 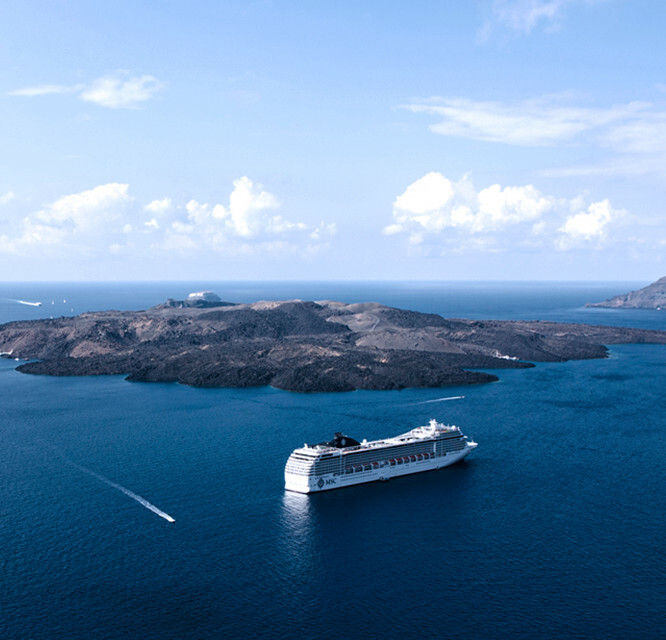 Explore Santorini your way and discover its secrets one by one. At the end of your private tour of Santorini, we’ll return you to the cable car so you can join the other passengers in the cruise ship.